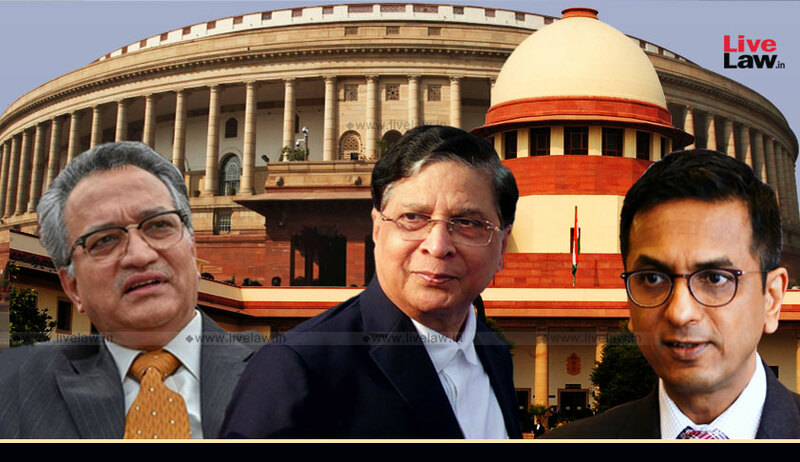 The judgment was rendered by the bench of Chief Justice Dipak Misra, Justice D. Y. Chandrachud and Justice A. M. Khanwilkar on a PIL by NGO Lok Prahari seeking a declaration that since the law does not provide for a stay of conviction, even in the case it is so stayed by the appellate court for an offence attracting disqualification under Section 8 of RPA, any such stay order does not have the effect of wiping out the disqualification and reviving the membership with retrospective effect and consequently, the seat of the concerned member is deemed to have become vacant with effect from the date of conviction in terms of Article 101(3)(a) and 190(3)(a) of the Constitution. In the decision authored by himself, Justice Chandrachud had placed reliance on Ravikant S. Patil v. Sarvabhouma S. Bagali (2006) and Lily Thomas v. UOI (2013) on the effect of an order of an appellate court staying a conviction pending the appeal. “....it has been well-settled that the appellate court has the power, in an appropriate case, to stay the conviction under Section 389 besides suspending the sentence. The power to stay a conviction is by way of an exception. Before it is exercised, the appellate court must be made aware of the consequence which will ensue if the conviction were not to be stayed. Once the conviction has been stayed by the appellate court, the disqualification under sub-sections 1, 2 and 3 of Section 8 of the Representation of the People Act 1951 will not operate. Under Article 102(1)(e) and Article 191(1)(e), the disqualification operates by or under any law made by Parliament. Disqualification under the above provisions of Section 8 follows upon a conviction for one of the listed offences. Once the conviction has been stayed during the pendency of an appeal, the disqualification which operates as a consequence of the conviction cannot take or remain in effect”, the bench has concluded. The apex court has also clarified that there is no merit in the submission that the power conferred on the appellate court under Section 389 does not include the power, in an appropriate case, to stay the conviction- “Clearly, the appellate court does possess such a power. "In view of the consistent statement of the legal position in Rama Narang and in decisions which followed, there is no merit in the submission that the power conferred on the appellate court under Section 389 does not include the power, in an appropriate case, to stay the conviction. Clearly, the appellate court does possess such a power. Moreover, it is untenable that the disqualification which ensues from a conviction will operate despite the appellate court having granted a stay of the conviction. The authority vested in the appellate court to stay a conviction ensures that a conviction on untenable or frivolous grounds does not operate to cause serious prejudice. As the decision in Lily Thomas has clarified, a stay of the conviction would relieve the individual from suffering the consequence inter alia of a disqualification relatable to the provisions of sub-sections 1, 2 and 3 of Section 8". said the Bench.